Microsoft announced last year that it would be rebuilding its Edge browser on Google’s open-source Chromium platform,and finally Microsoft has officially released the first public previews of its Chromium-based Edge browser. The previews are available on Microsoft's Edge insider website. Microsoft has launched public testing for the newest version of its Edge web browser, not only this mean that Edge should work better with sites designed to modern web standards, but it also means that you will be able to run Chrome extensions in Edge, making the browser much more bearable than previous incarnations. Also, expect to encounter some bugs and other technical issues, as the new iteration of Edge is only available through two of Microsoft’s three beta build branches: “Dev,” which receives weekly updates, and “Canary,” which receives daily updates. 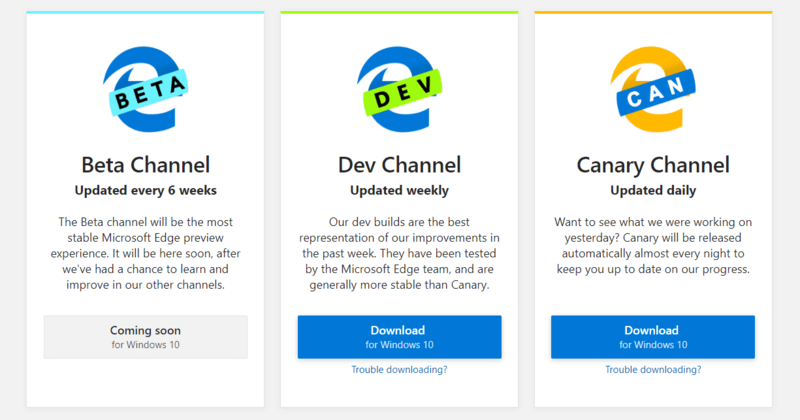 You can download the Dev Channel (updated weekly) or Canary Channel (updated daily) builds from Microsoft’s Edge Insider site right now, as they are intended for use by developers, anyone can download them and check out what Microsoft has been working on. 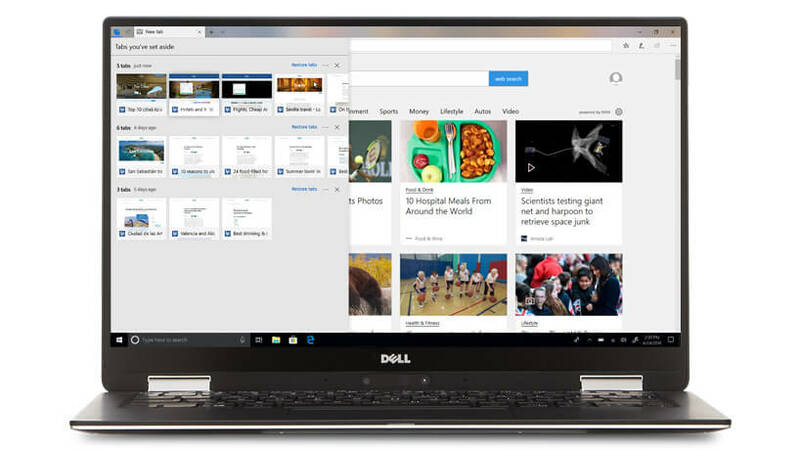 The browser works "surprisingly well" and even supports existing Chrome extensions, which is true of any Chromium-based browser.In addition to those extensions, Microsoft will build sync support so users can access their favorites, browsing history, and other stuff on devices where chromium-based Edge will be available. Favorites is the only thing supported at the moment, but sync support will eventually include more. Microsoft also plans to launch its Chromium-based browser on Windows 8, Windows 7, and even macOS, but not even the Beta Channel (which Microsoft says will be “the most stable Microsoft Edge preview experience” ahead of the actual launch) has been released yet.